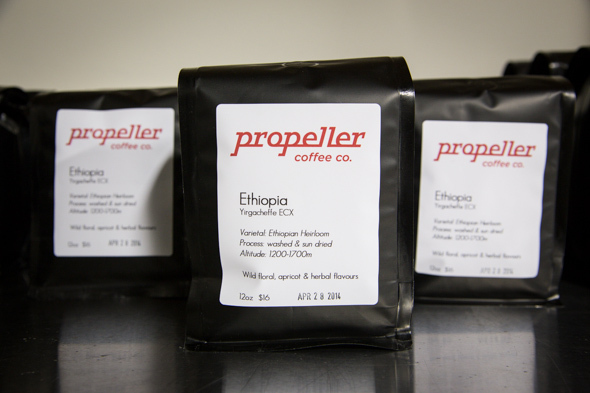 Propeller Coffee offers a good reminder that one of the few bright sides to watching the urban industrial heritage of your city disappear is that whole new areas, once known only to truckers and empty when the sun went down, have been opened up to new uses, some of which don't involve condos. 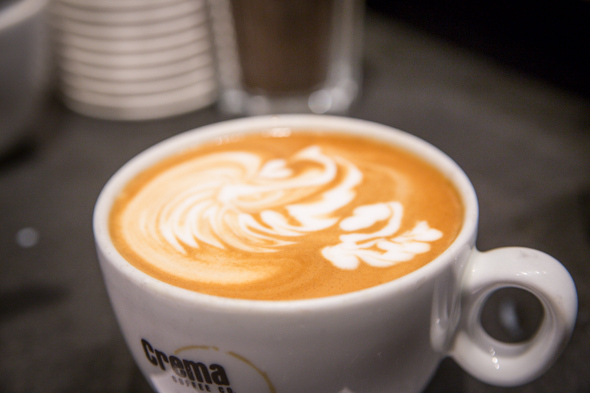 When Crema decided that its coffee roasting business needed to expand, it was to areas like this that co-owners Geoff Polci and Losel Tethong decided to look. Wade Avenue curves through a few blocks of empty lots, old warehouses and auto repair shops between Lansdowne subway station and the eastern edge of the Junction Triangle. Polci and Tethong found a decrepit industrial space here with a destroyed floor and a squatter, and leased it from its owners - the family behind the Tavora Portuguese grocery empire, whose wholesale outlet was around the corner. 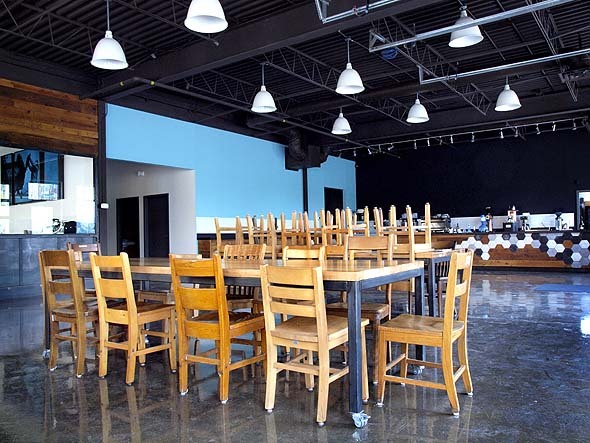 They incorporated Propeller Coffee, their new roasting business, at the beginning of last year, leased the space in April, started work on the building in July and poured the new floor over a sticky August weekend. 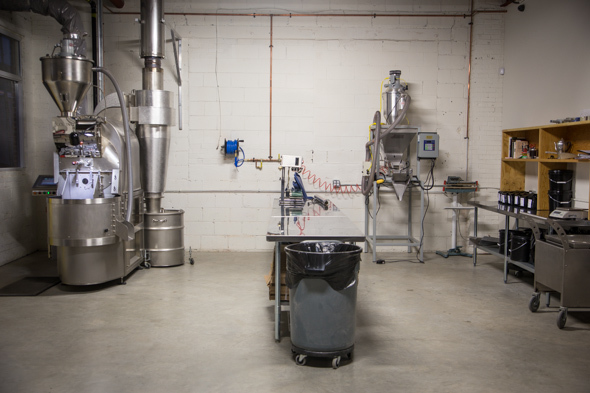 In mid October, they did their first coffee roasting in the new building. A month ago they hosted their first barista jam . 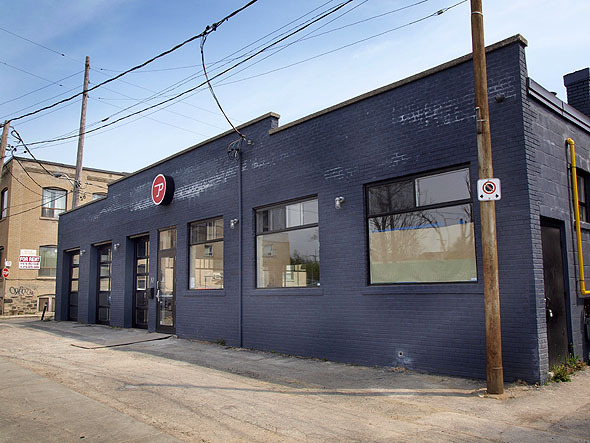 It's obvious that Polci and Tethong plan more than a roasting facility in the newest part of the Crema empire; while the warehouse and roasting room take up the rear half of the cavernous industrial building, the front is given over to a huge cafe and event space and a room for the cuppings that will be essential to expanding sales of the Propeller coffee brand. 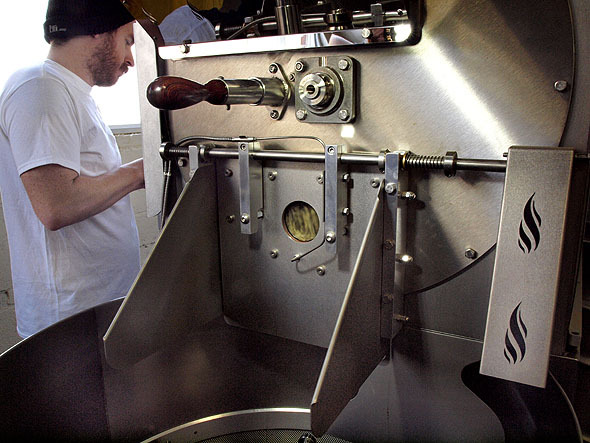 Walking between the cool of the warehouse into the warm, dry roasting room gives some idea how moisture can be sucked out of raw beans, and Polci, Propeller's chief roaster, says that it's the best reason to never store your beans in the same room as you roast. 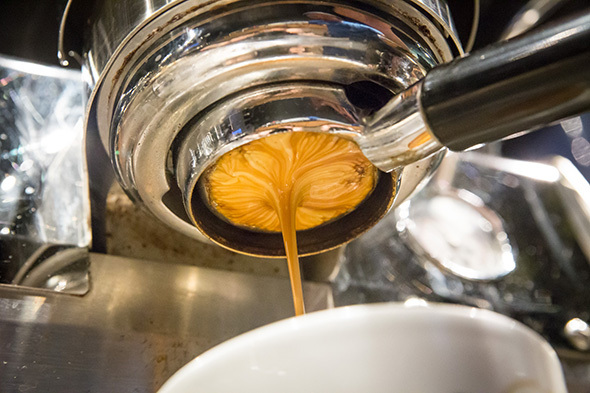 The cupping room next door isn't just essential to their sales of beans to cafes and restaurants. 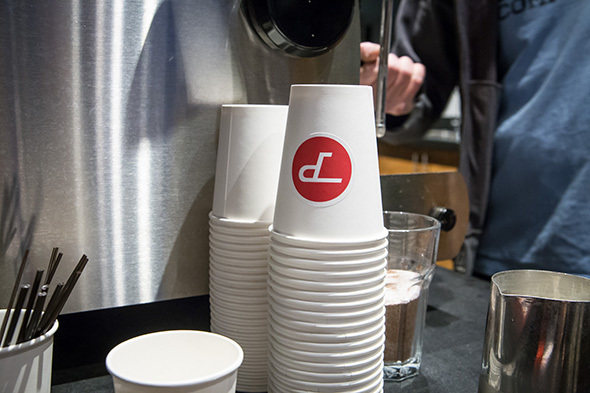 Polci and Tethong say that the barista community in the city is a fairly close one, and events like the barista jam they held there early this month show how information gets shared even among businesses that are technically in competition with each other.